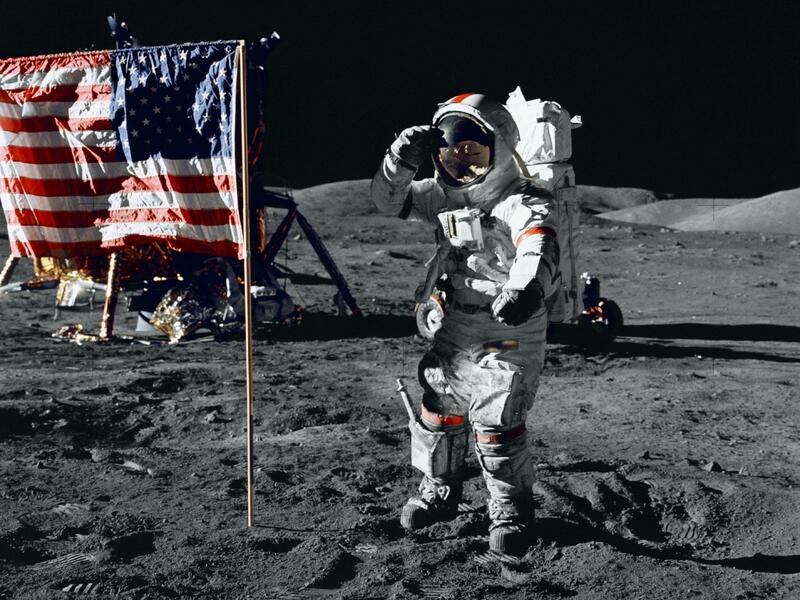 The last person to leave footprints on the moon has died at age 82. Gene Cernan was big, brash and gregarious, and if he hadn't been lucky, he could have missed his chance to walk on the moon. NPR's Russell Lewis has this remembrance. 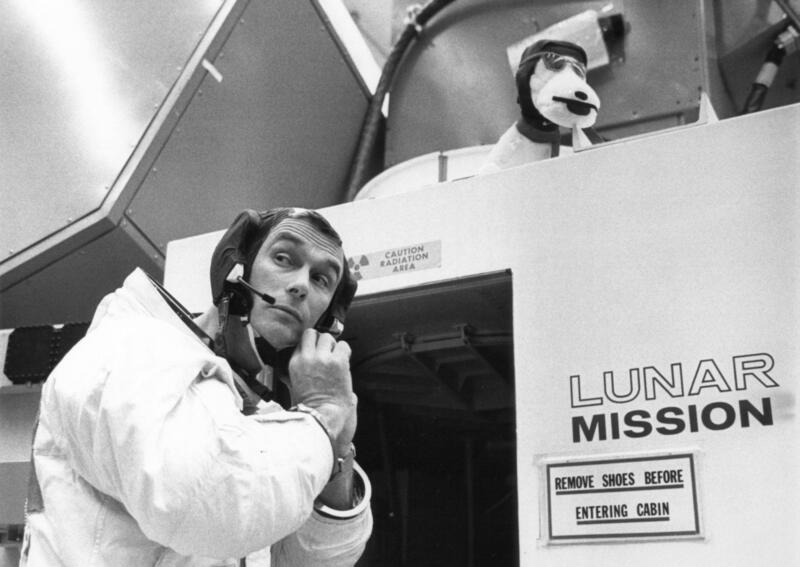 RUSSELL LEWIS, BYLINE: Gene Cernan challenged himself his whole life. When he entered the military, he chose to be a naval aviator. Landing on an aircraft carrier is perhaps the hardest thing to do in aviation. Cernan did it because it wasn't easy. He said he was constantly pushing himself to do better and be better. GENE CERNAN: My dad always used to say, just go and do your best. You're not going to be better than everyone at everything, and he was right, I wasn't. But he was also right one other time, and he said, said someday you're going to surprise yourself. Just do your best, and someday you're going to surprise yourself. UNIDENTIFIED MAN #1: We have ignition - two, one, zero. We have a liftoff. We have a liftoff and it's lighting up the areas. It's just like daylight here at Kennedy Space Center as the Saturn V is moving off the pad. LEWIS: Cernan's final trip in space was also the final time NASA sent people to the moon - Apollo 17, which took off on December 7, 1972. UNIDENTIFIED MAN #2: Apollo 17 now 65 miles high. CERNAN: OK, four minutes and we're go here, Bob. UNIDENTIFIED MAN #3: Roger, Gene, we're going around the room, look go here. You're looking real good, Gene, right down the line. LEWIS: Four days later, Cernan landed the lunar module on the moon with astronaut Jack Schmidt. Cernan couldn't hide his enthusiasm as he exited the spacecraft. CERNAN: I'd like to dedicate the first step of Apollo 17 to all those who made it possible. Oh, my God, unbelievable. LEWIS: Decades later, Gene Cernan reflected on that moment in this 2015 NPR interview. CERNAN: The first steps had been made by others long before I got there, but those were my first steps. LEWIS: Cernan is one of only three people to travel to the moon twice. Dreaming big and working hard were two things Cernan always did. He grew up in Chicago. Neither of his parents went to college, but he got several degrees in engineering. Despite his technical background, Cernan's time on the moon and in space forever altered his life. Cernan said he began to look and think about things differently. CERNAN: And when you leave the Earth, it's not only technologically different, it's philosophically different and it's spiritually different. LEWIS: Many astronauts had difficulty describing what it was actually like to be in space, not in a technical sense, but in finding the words to share that remarkable experience. There's something else about Cernan, he turned down the opportunity to land on the moon during an earlier mission. 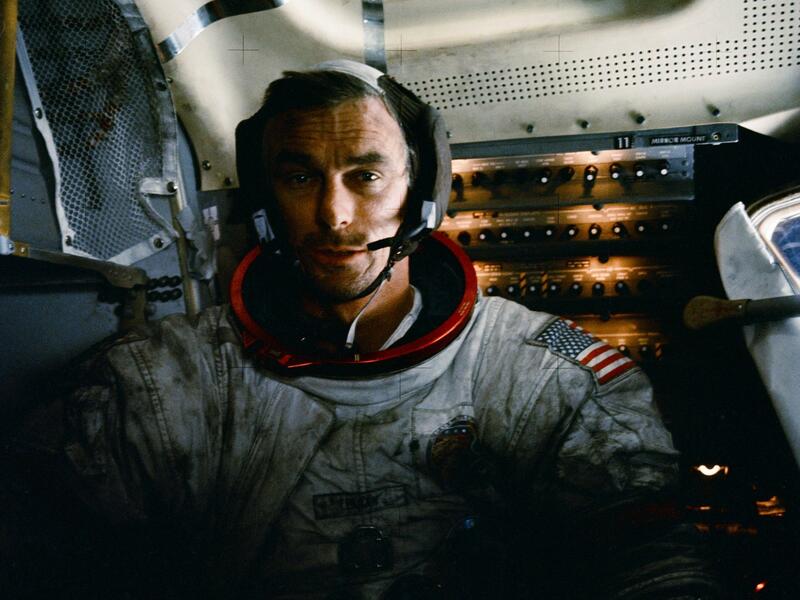 On that flight, Cernan would have been the pilot, but he wanted to be commander in charge of the mission. CERNAN: I proved to myself - as I said, I'd sort of felt like I'd been an underdog most of my life. I proved to myself that I was good enough, that I could get the job done. That was a big point in my life. LEWIS: Gene Cernan spent his post-NASA life trying to inspire young people. He once said, dream the impossible and go out and make it happen. I walked on the moon, what can't you do? Russell Lewis, NPR News. (SOUNDBITE OF ABE VIGODA SONG, "DREAM OF MY LOVE - CHASING AFTER YOU") Transcript provided by NPR, Copyright NPR.